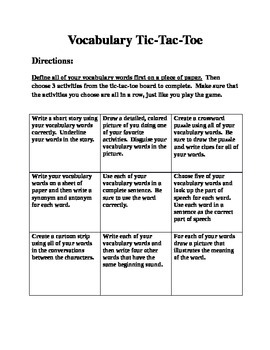 This Vocabulary Tic Tac Toe board will allow your students to have a choice in the way that they practice their vocabulary words. All students must define their words. Then they are able to choose any of the activities on the board that create three in a row!